Companies seeking growth opportunities in South America quickly gravitate to Brazil and São Paulo’s business startup culture. Brazil’s mammoth city boasts one of the world’s most vibrant business technology ecosystems. São Paulo is also home to South America’s largest startup environment. The city proper is the largest in Brazil, with a population of over 12 million residents. The greater São Paulo metropolitan area ranks as number three in the world by population, with over 27 million residents. This cultural diversity is a great asset to companies looking to test their products and marketing programs. Marketing to a microcosm of international cultures provides a wealth of valuable information for companies with global growth ambitions. Companies investing in São Paulo’s business startup culture quickly benefit from the city’s diverse talent pool and openness to new ideas. Brazil’s currency fluctuations and devaluation to the U.S. dollar gives companies who invest in São Paulo’s business startup culture the benefit of getting more for their capital. As Brazil’s economy experiences variations and crises, São Paulo presents more opportunities for entrepreneurs. Talent becomes more affordable for young and growing companies. As a result, entrepreneurs can easily hire employees with the education and skills they need to be successful. São Paulo’s business startup culture benefits from a large number of business resources. Startup accelerators are plentiful, including ACE, Startup Weekend, and Startup Farm. Co-working spaces such as CUBO encourage collaboration among resident companies. CUBO’s center of technological entrepreneurship connects investors, companies, technology, and universities in one space. This connection helps create new business models, new ways to work, and continually challenges the status quo with a focus on creating opportunities. What Does This Mean for São Paulo’s Business Startup Culture? Companies looking for expansion opportunities, especially in technology fields, should seriously consider São Paulo’s business startup culture. The city provides a warm welcome to entrepreneurs and innovators, offers a favorable currency advantage, and has a wealth of resources that support business startups. Brazil’s wide cultural diversity enhances workforce productivity, and reflects the broader international market, making São Paulo an ideal location for testing concepts and messages. Entrepreneurs with plans for business expansion should research São Paulo’s business startup culture to see how they might benefit from its many resources and advantages. Established businesses without a presence in Latin America should also consider locating in São Paulo. Co-working spaces such as CUBO can help connect established businesses to entrepreneurs and new business models. Companies looking to test their expansion efforts in Brazil might also benefit from an International Professional Employer Organization. This is a global employment solution where a third-party in a foreign country hires employees on your company’s behalf. Companies considering relocating new hires or transferees to São Paulo should review their relocation programs. This will help ensure they have a competitive advantage and that their program provides the highest level of relocation benefits and services for their employees. 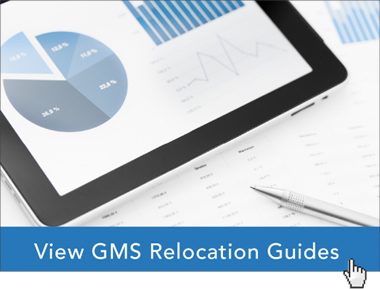 GMS’ team of global relocation experts has helped thousands of our clients understand how they can easily expand their business operations to new locations. Our team can help your company understand how best to proceed with expansion to São Paulo’s business startup culture through relocation, or by utilizing an International PEO. Learn best practices from Global Mobility Solutions, the relocation industry and technology experts who are dedicated to keeping you informed and connected. Contact our experts online to discuss your company’s business expansion plans to São Paulo, or give us a call at 800.617.1904 or 480.922.0700 today.